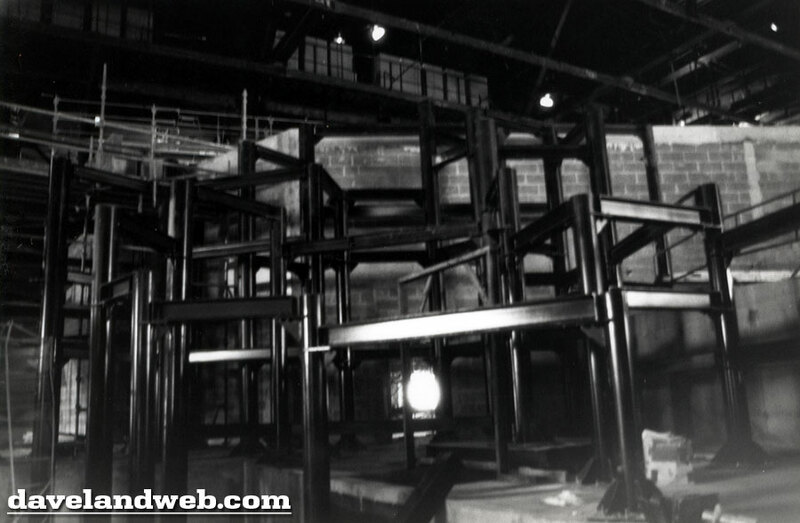 Labeled as Disneyland construction photos, I marvelled at my good fortune of purchasing a large group of these at a very low price. 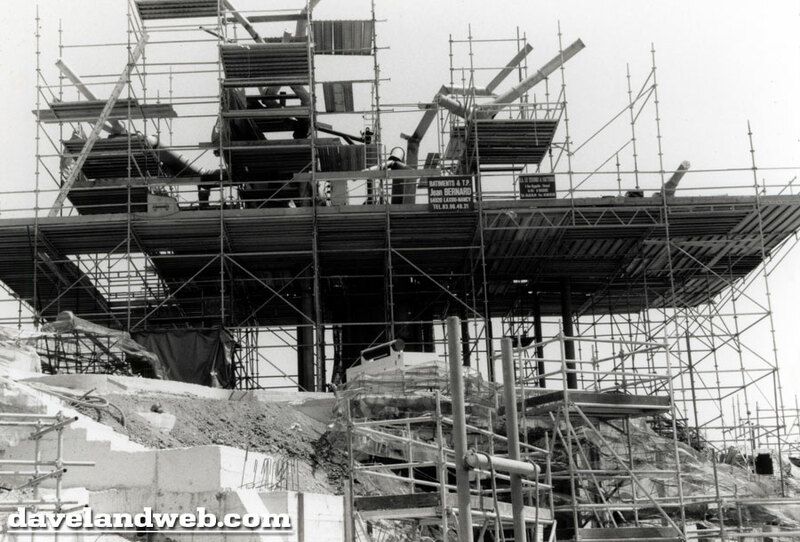 When I received them, I realized that these 1991 photos were actually of Disneyland Paris. Walt Disney built his empire on his ability to sprinkle a little bit of pixie dust over people’s day-to-day lives. 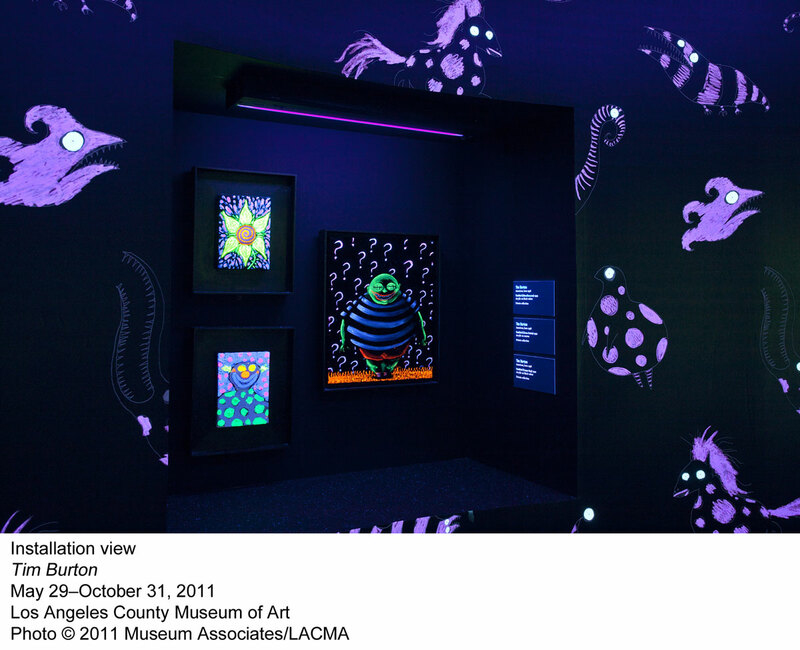 Whether it’s a talking mouse, genie or clock, Disney can put a Cheshire cat grin across many faces – young and old. In a society that regularly reads about war, natural disasters, political scandals and tan marks of the A-list, magical escapism has become a welcomed antidote. And who better to turn to than the fairy godfather himself? 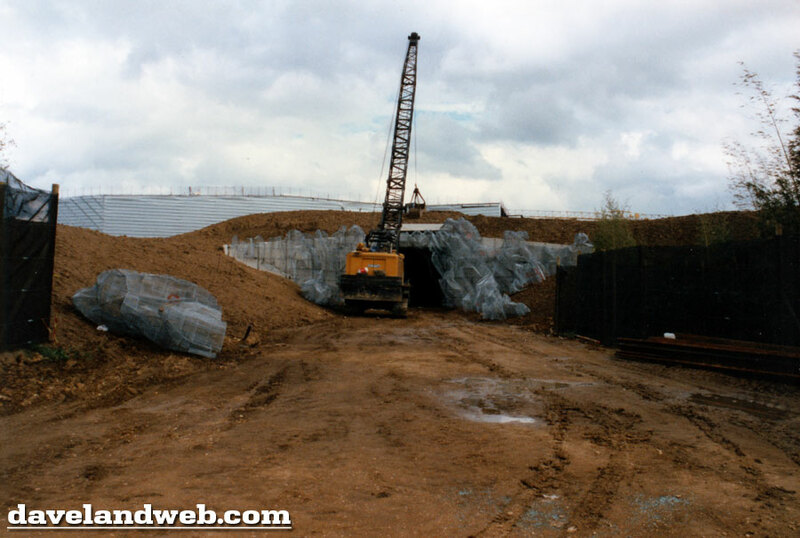 Opening its gates in 1992, Disneyland Paris takes this escapism one step further. Fifteen million tourists enjoy holidays to this magical resort every year – and boy has it come a long way since its launch. 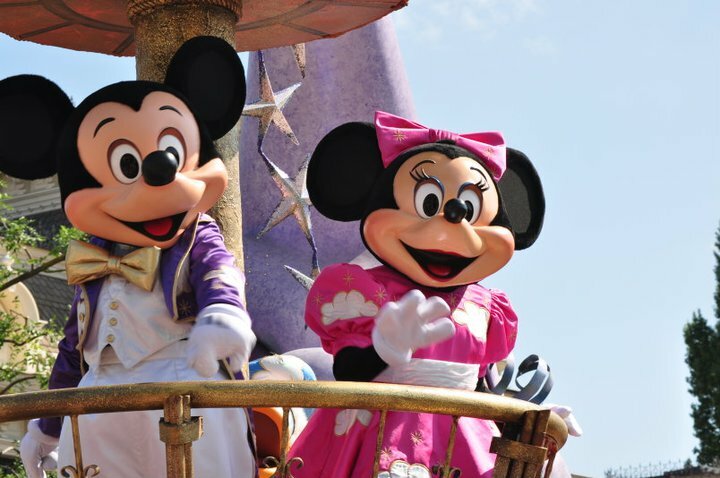 Disneyland Paris’s attractions are a mix of old and new – just like the franchise’s filmography. Its original rides have become nostalgic classics, while its newest ones push modern day technology to the limits. 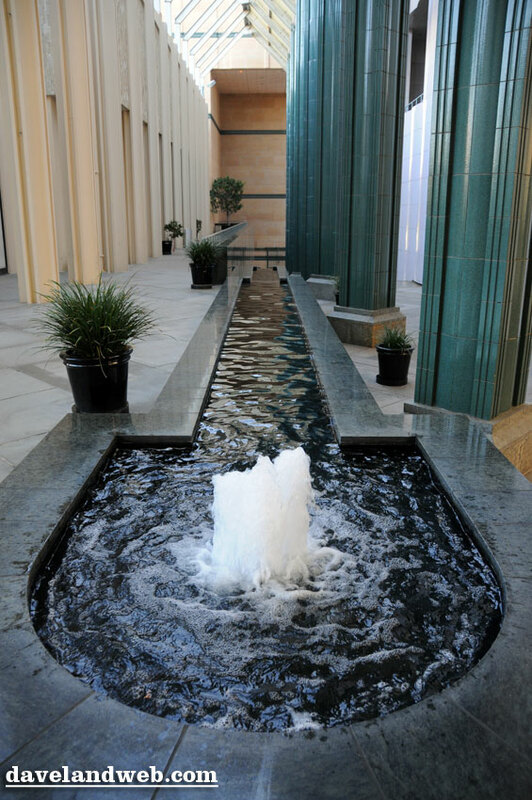 The beauty of the resort is that it’s evolving with the times, while staying true to its roots. This has a lot to do with its child audience – they may love computer games, but they can also happily spend an afternoon making mud pies in the garden. 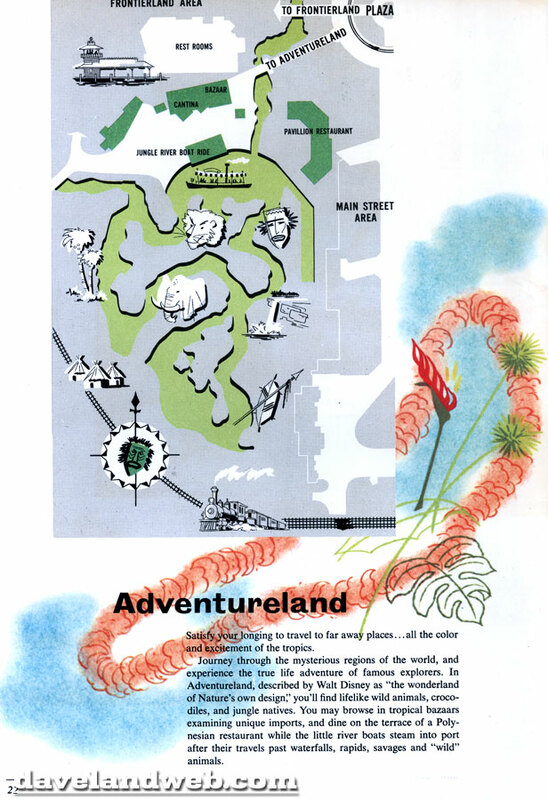 The Mad Hatter’s Tea Cups ride is a veteran - having been around since the resort opened. Toy Soldiers Parachute Drop is only a year old but is equally as popular, performing a series of raises and drops, 80 feet in the air. Recruits on board these 6-person parachutes will soon feel as though they’re undergoing a military operation! 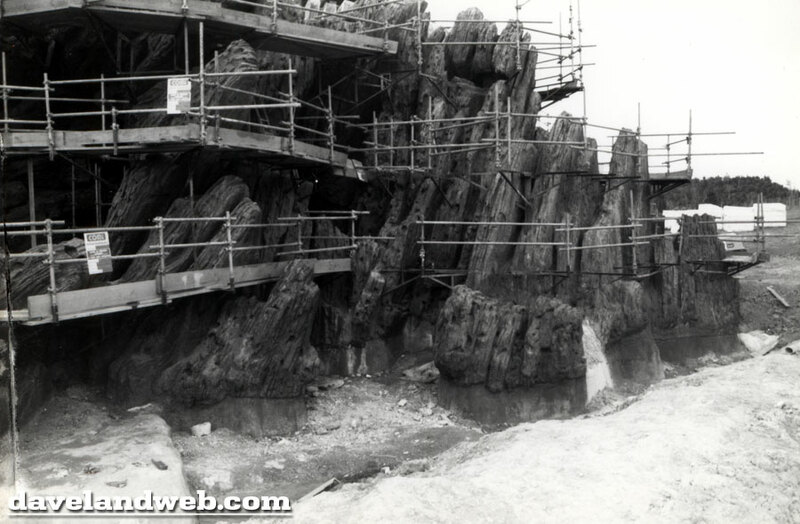 To keep the park fresh and current, Paris Disneyland introduces new rides to complement recent film releases. Disney Pixar’s Finding Nemo inspired the 2007 ride - Crush’s Coaster, while the Toy Story Trilogy earned itself an entire land at the Walt Disney Studios Park in 2010. An iconic Disney resort attraction that has become a box office phenomenon is the Pirates of the Caribbean ride in Adventureland. Inspiring the Pirates of the Caribbean franchise, the ride is rumoured to be welcoming Jack Sparrow on board, via clever animatronics. 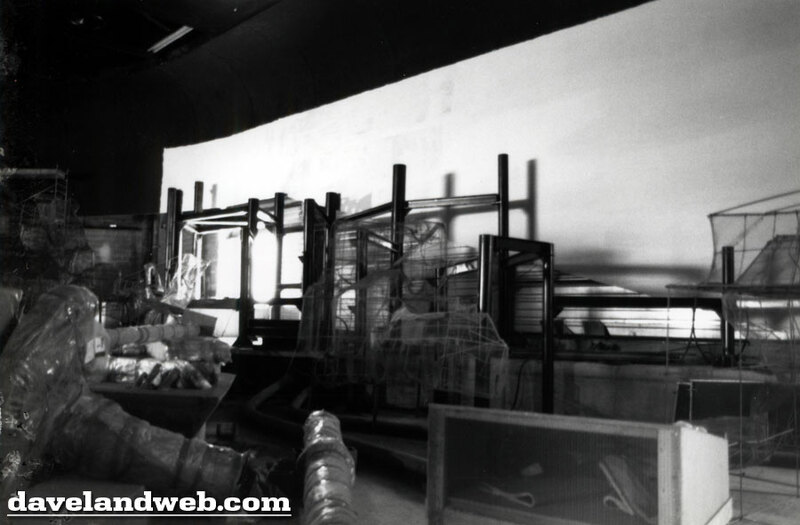 Ride makeovers are a regular occurrence at the resort – why not build on what works already? 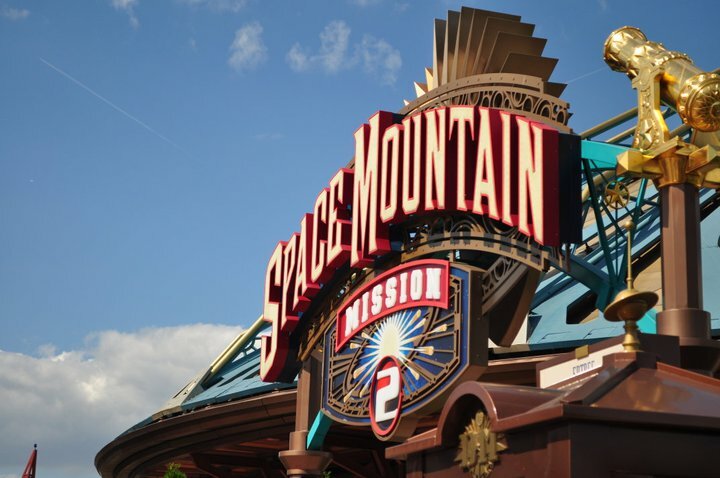 Established in 1995, Space Mountain was reinvented as Space Mountain: Mission 2 in 2005, shooting you further and faster into space, with improved special effects. 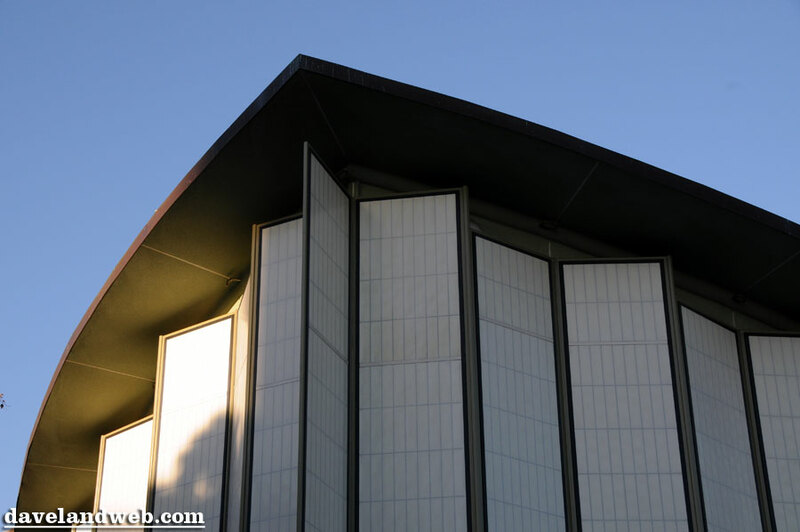 The fastest of all Space Mountain rides across Disneyland resorts, riders are now taken beyond the moon to the edge of the universe. 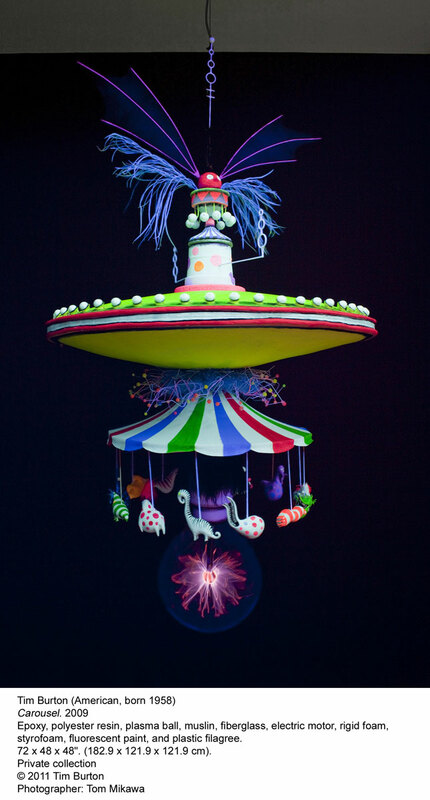 The video that featured a smiling moon on the second ‘climb’ of the ride has been replaced by a supernova, while a simulated vortex using bent neon lights has also been introduced. Additionally, trains are fired from the bottom of the cannon, compared to their previous position at the top. Riders are now given an audible countdown, rather than suffering its previous silence-induced suspense. Finally, its Victorian setting has received a futuristic makeover, with golden trains being painted silver. As its collaboration with Pixar proves, Disney doesn’t cower in fear of technology – it embraces it wholeheartedly. The result? A vintage yet cutting-edge resort that appeals to every generation. 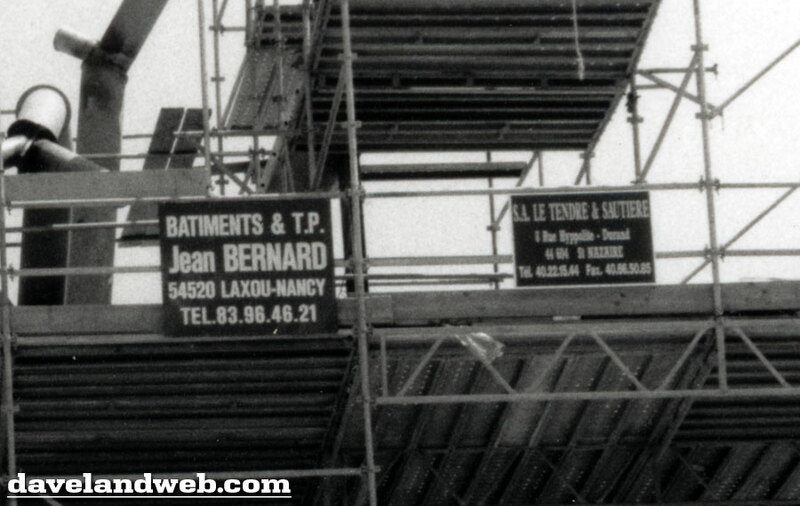 As is evident, Disneyland Paris is like a fine wine – it gets better with age. Roll on its 30th anniversary! Follow my Daveland updates on Twitter. 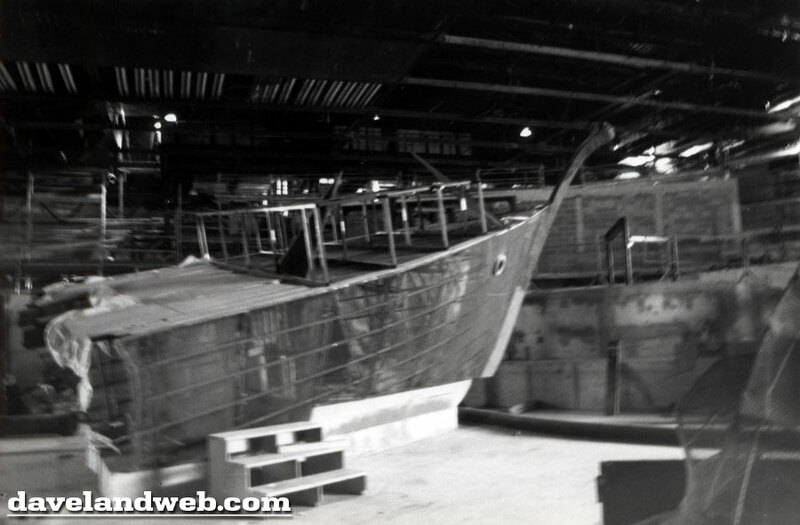 See more Disneyland Paris photos at my regular website. I am sure that in Hollywood, nobody knows who Robert Ozell Moseley was. 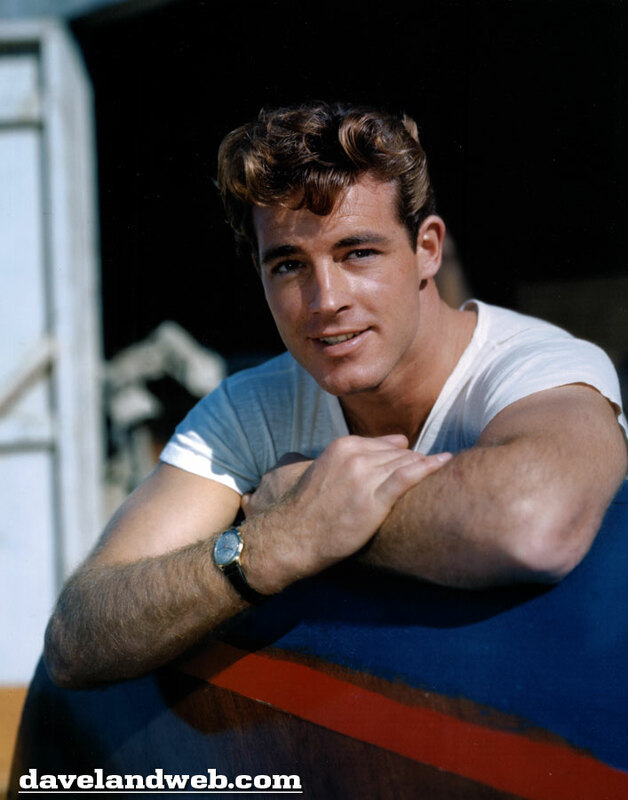 However, the name Guy Madison might still bring back a few memories for movie fans of the 40's and 50's. Robert Moseley was just one of the many good-looking slightly-wooden acting gents represented by Hollywood Agent Henry Willson. Willson was the head of talent at David O. Selznick's newly formed Vanguard Pictures and is "credited" for renaming Roy Scherer (Rock Hudson), Arthur Kelm, (Tab Hunter), Merle Johnson, Jr. (Troy Donahue), Raymon Lee Cramton (Chad Everett), Orison Whipple Hungerford Jr. (Ty Hardin), and Francis McCown (Rory Calhoun). 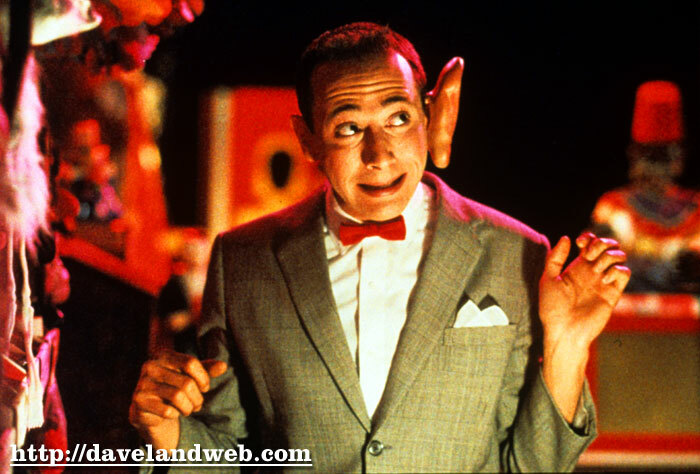 Moseley was discovered by Willson in 1944 while he was on leave from the U.S. Coast Guard, visiting Hollywood. The renamed Guy Madison was given a bit part in Selznick's "Since You Went Away" and a deluge of fan mail hit the studio shortly thereafter, resulting in a contract with RKO Pictures. 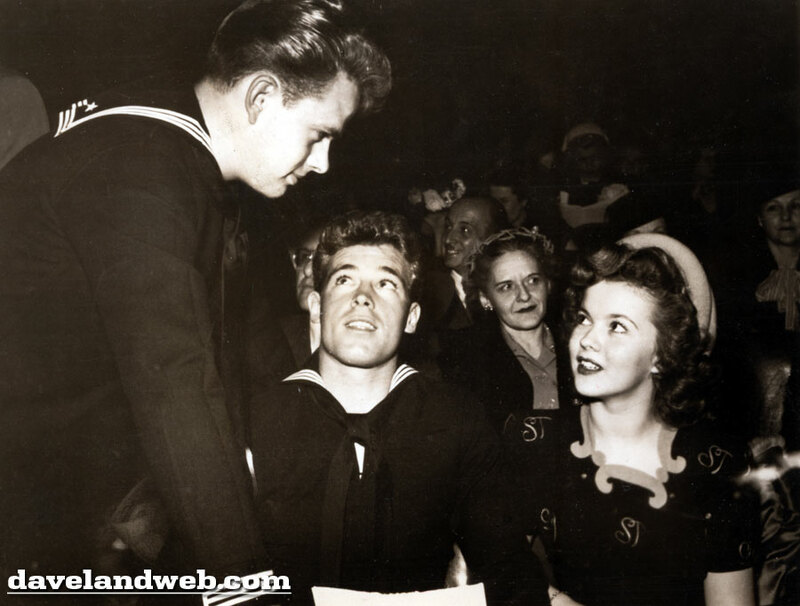 Here's Madison with Shirley Temple at a premiere. 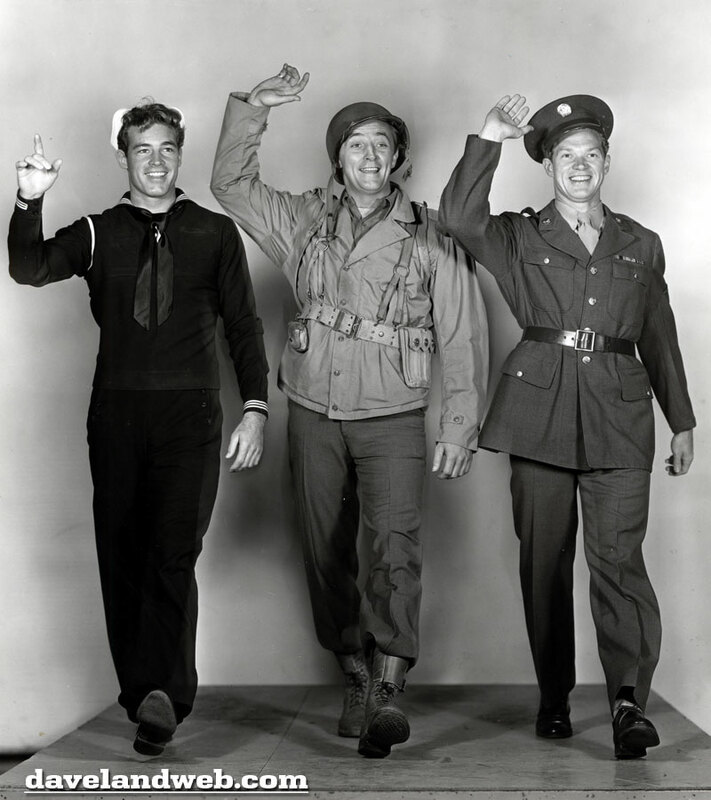 This publicity still is from the 1946 movie, "Till The End of Time," starring (left to right) Guy Madison, Robert Mitchum, and Bill Williams. It is the tale of three former U.S. Marines and the difficulty they have readjusting to civilian life. 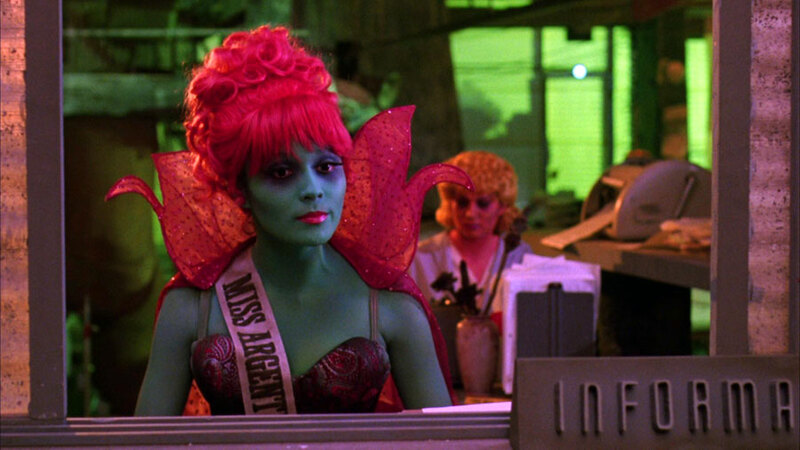 This was Madison's second film and first starring role. 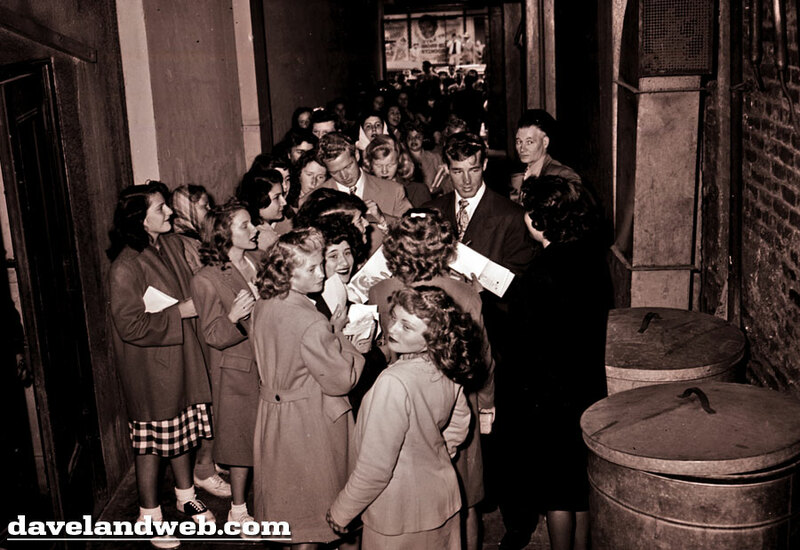 Here you can see the mob scene in San Francisco with Guy Madison & Bill Williams getting some lovin' from their adoring fans. This rather odd photo, also taken in San Francisco, is most likely supposed to represent the two heartthrobs recovering from the mob scene. The shot does nothing to stop the rumors about Henry Willson and his stable of male stars. Despite a promising start, Madison's less-than-natural "acting" style hindered him from having a stellar movie career. He eventually achieved his 15 minutes of fame though by starring in the TV series "The Adventures of Wild Bill Hickok," which ran from 1951-1958. Last one for today shows Guy Madison with costar Shirley Temple in the somewhat stale romantic comedy, "Honeymoon." Follow my updates on Twitter. 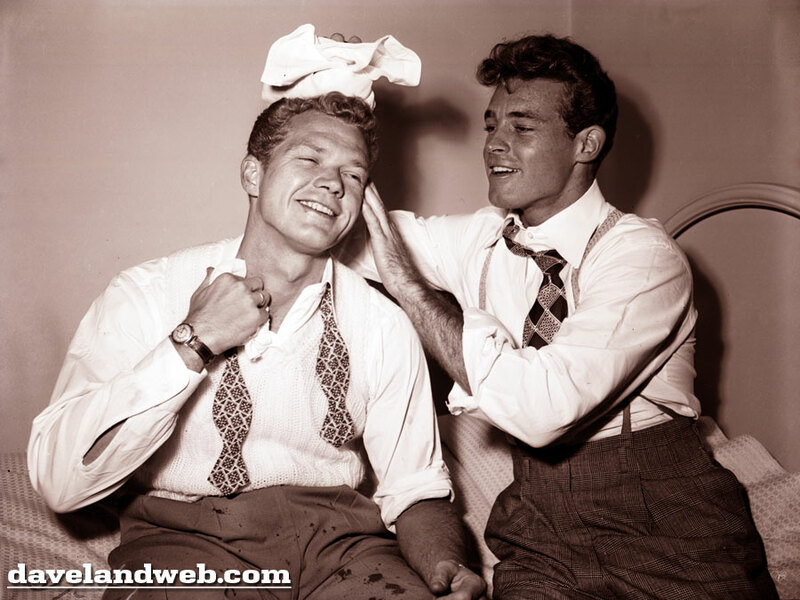 To see more Guy Madison photos, visit my regular website. 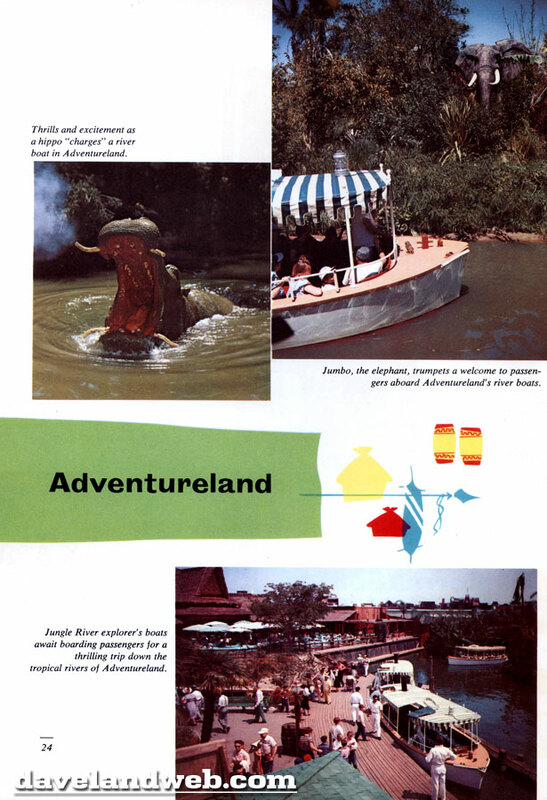 This series concludes today, as we sail into Adventureland. One attraction. Une. Uno. Eine. 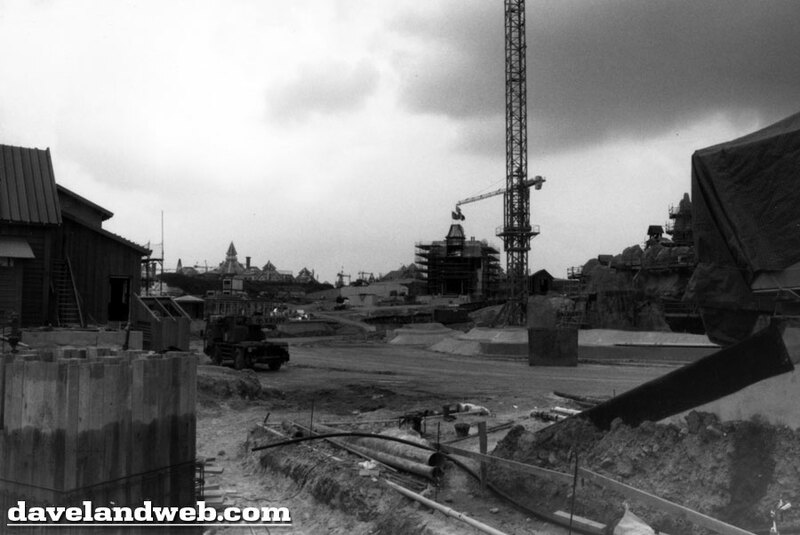 Welcome to early Disneyland! 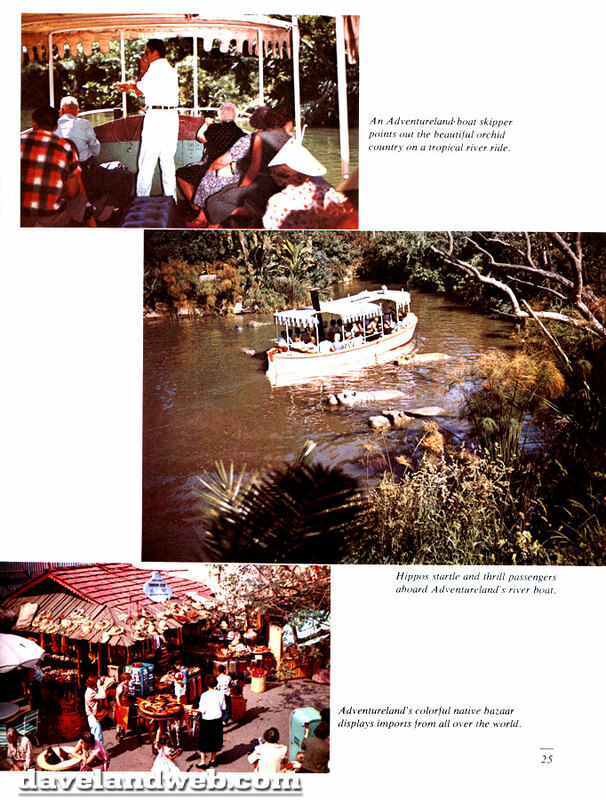 The Jungle Cruise was still known as The Jungle River Boat Ride (not to be confused with the Mark Twain River Boat Ride!). 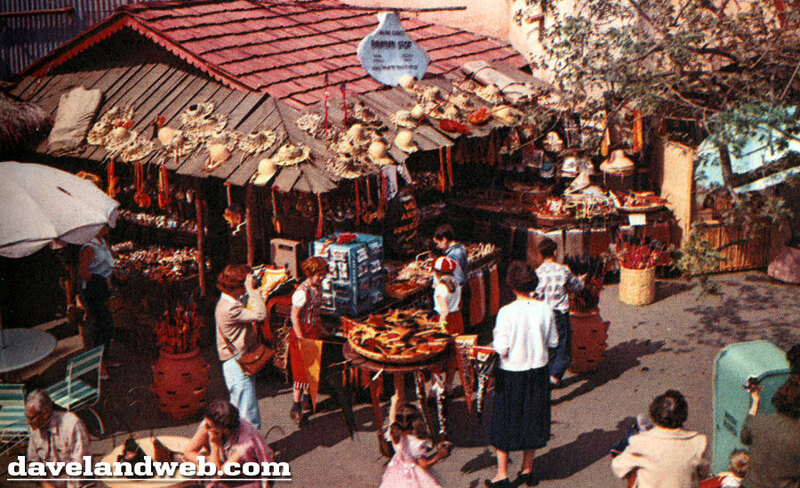 The shopping in Adventureland actually seems like the biggest draw of all, as these little boutiques carried Tiki/Island type merchandise that wasn't even Disney related. Wrap your heads around that one, Bean Counters! Just look at all the cool stuff you can buy here! 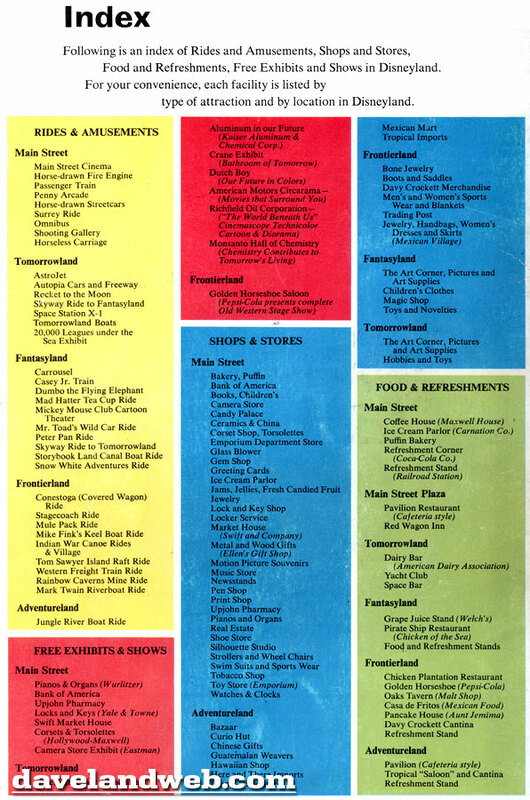 For you facts-and-figures types, this page ought to send you into orbit. I wonder what happened to the 63-year old guest who visited weekly? 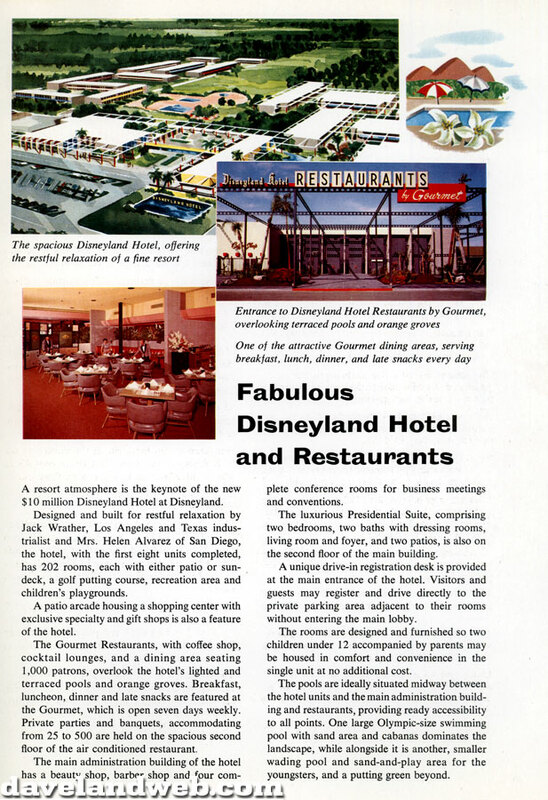 This incarnation of the Disneyland Hotel is barely recognizable when compared to what exists today. 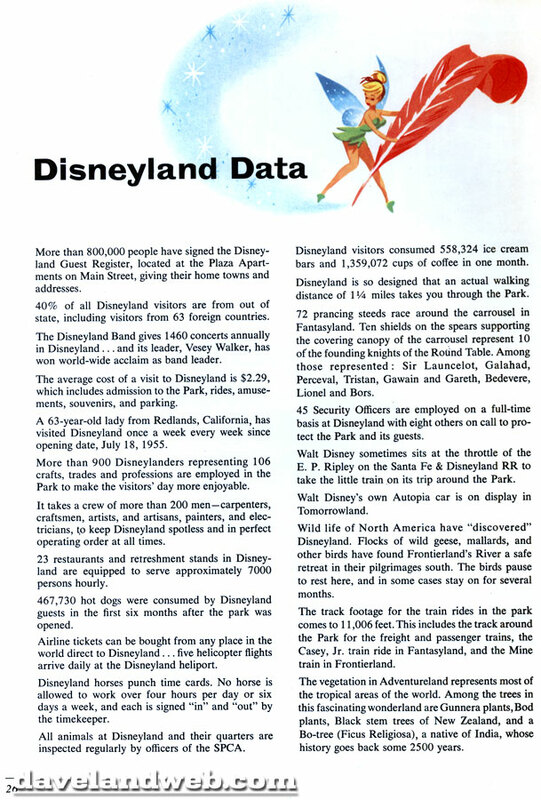 Hope you enjoyed this peak into one of the earliest Disneyland guidebooks! Follow my Daveland updates on Twitter. 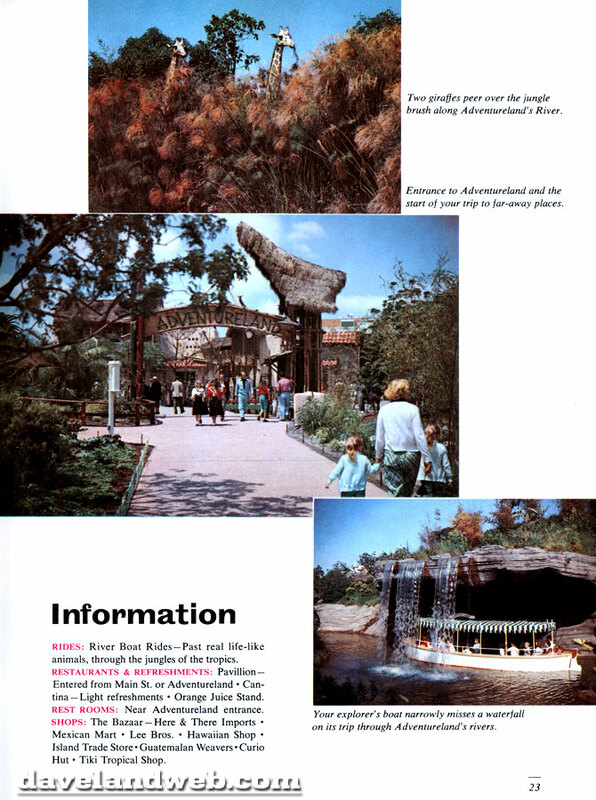 See more vintage Disneyland Brochures at my regular website. 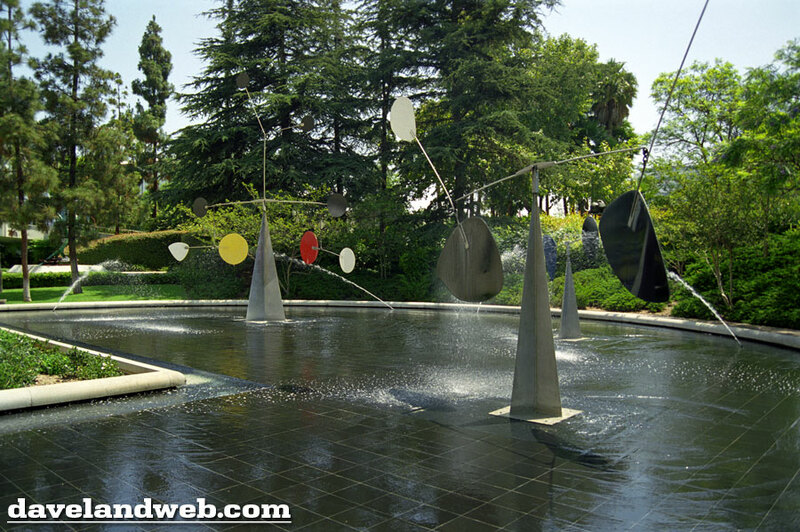 LACMA (aka The Los Angeles County Museum of Art) is the largest encyclopedic museum west of Chicago. 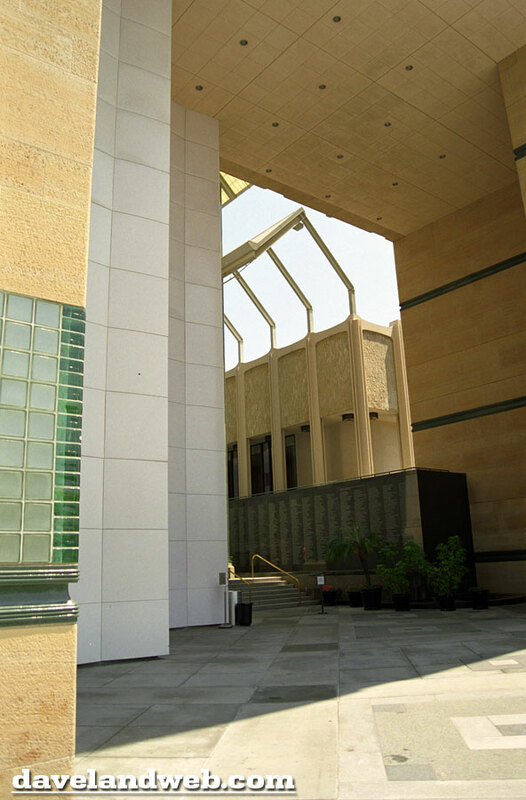 Founded in 1910, LACMA was part of The Los Angeles Museum of History, Science and Art in Exposition Park near the University of Southern California. 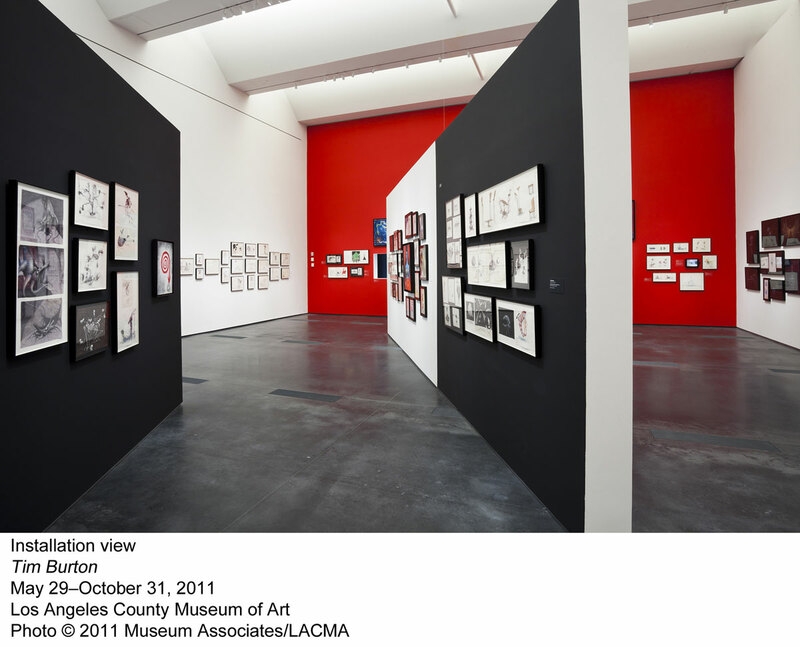 LACMA was established as a museum in 1961; four years later in 1965 the museum moved to a new complex on 5905 Wilshire Boulevard, the largest new museum to be built in the U.S. after the National Gallery of Art. This first group of photos was shot on a visit back in July 2002. 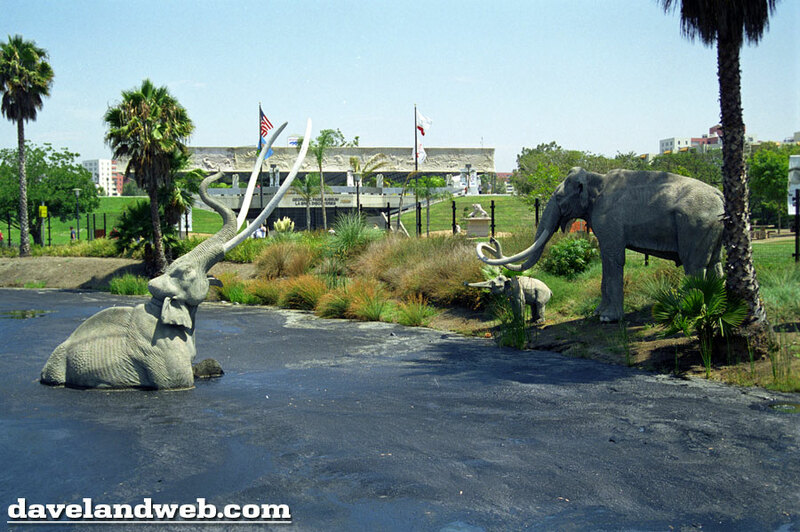 Nearby are the famous La Brea Tar Pits. 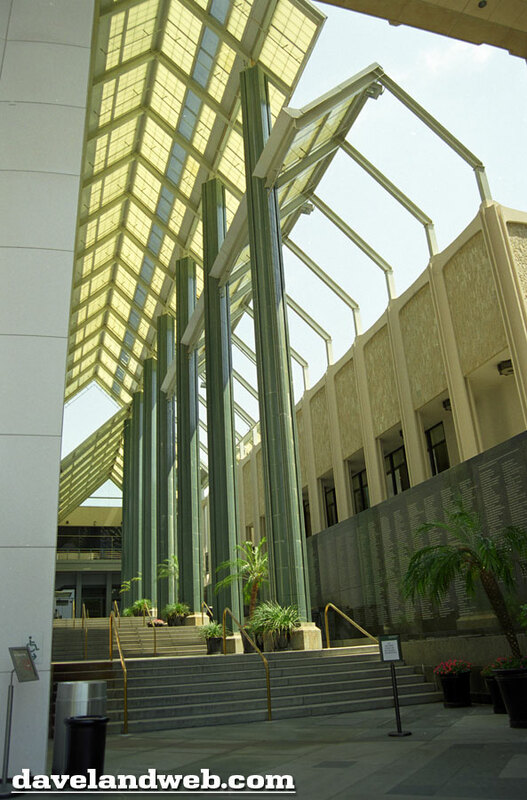 The George C. Page Museum, part of the Natural History Museum of Los Angeles County, was built next to the tar pits in Hancock Park on Wilshire Boulevard. 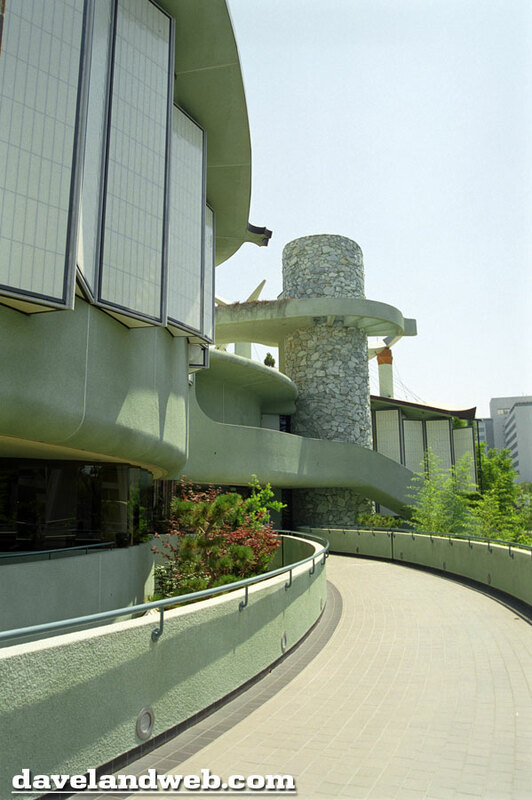 Construction began in 1975 and the museum opened to the public in 1977. 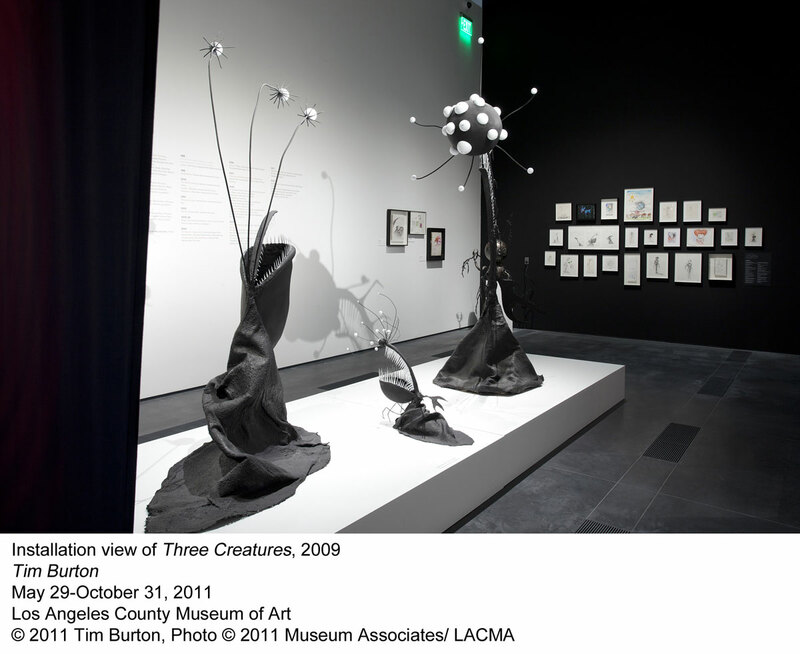 It tells the story of the tar pits and presents specimens from them. 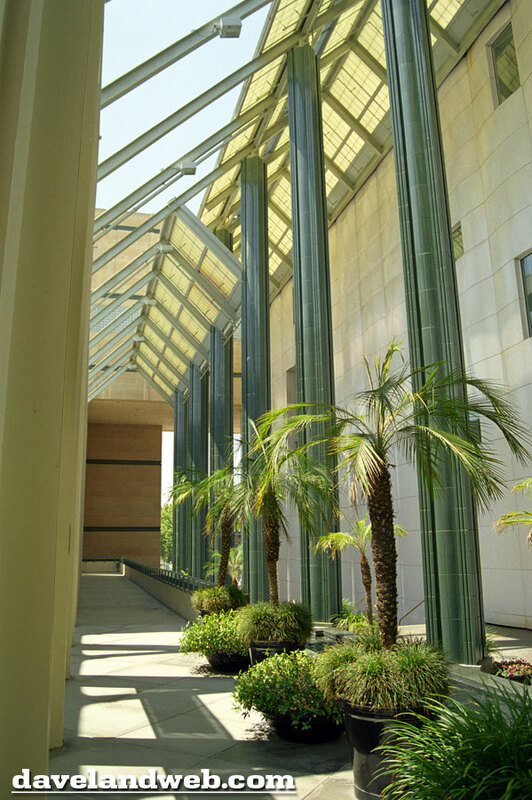 Visitors can walk around the park and see the tar pits. 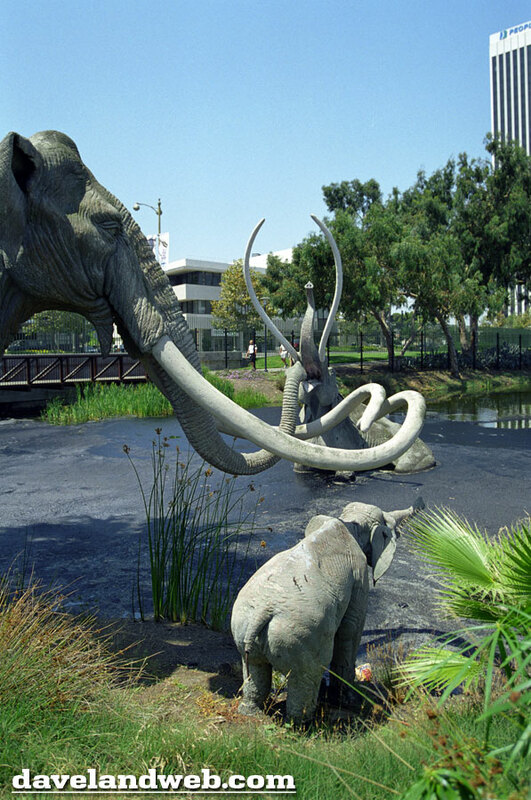 On the grounds of the park are life-size models of prehistoric animals in or near the tar pits. Of more than a hundred pits, only Pit 91 is still regularly excavated by researchers, and can be seen at the Pit 91 viewing station, which is outside the museum, and free to enter. 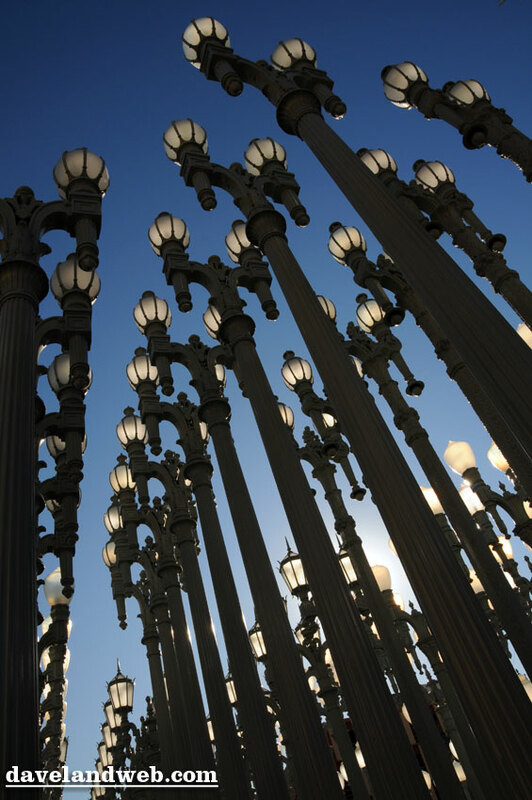 My most recent visit to LACMA, January 2009, was the first time I saw the Urban Light sculpture by Chris Burden. 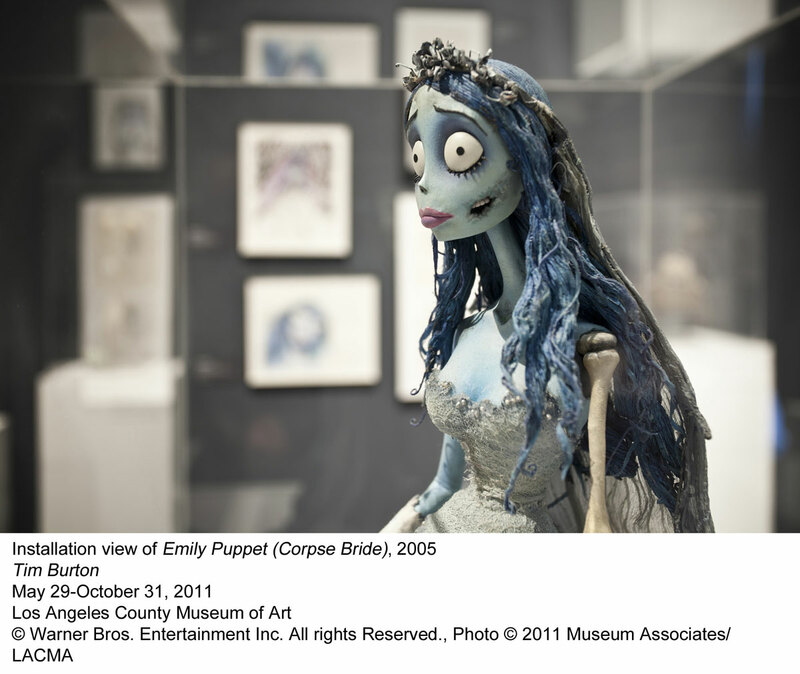 Bringing us to current day, LACMA is currently featuring an exhibit of Tim Burton's work. 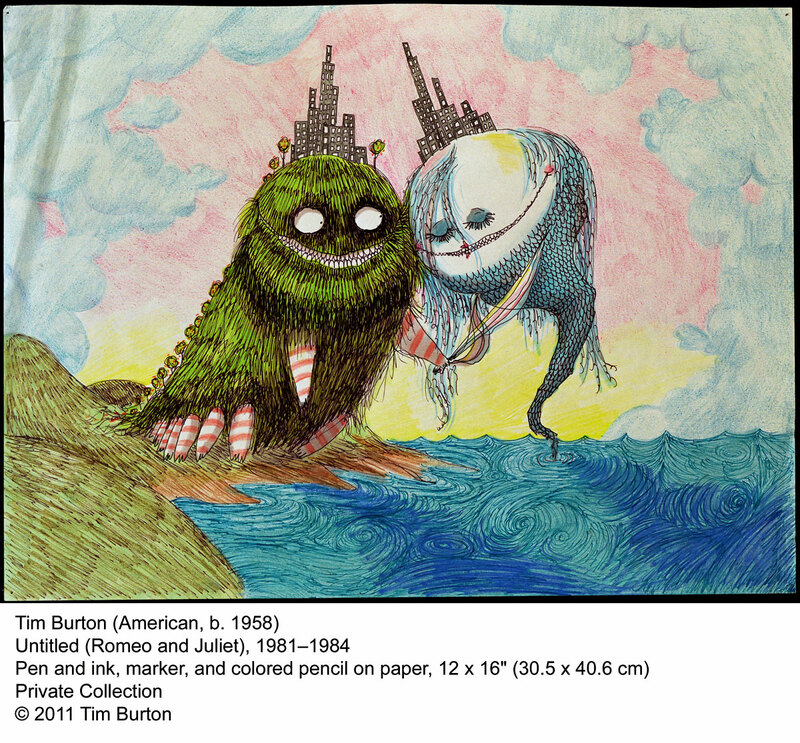 I first discovered Burton's quirky work through "Pee Wee's Big Adventure." Sadly, I didn't get it at first and thought it was one of the most stupid things I had ever seen. 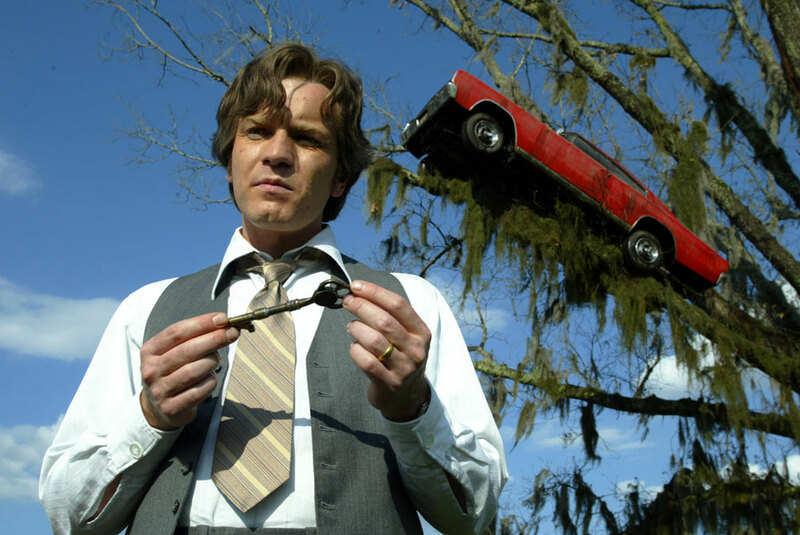 Obviously, my opinion eventually changed as it became one of my fave flicks. 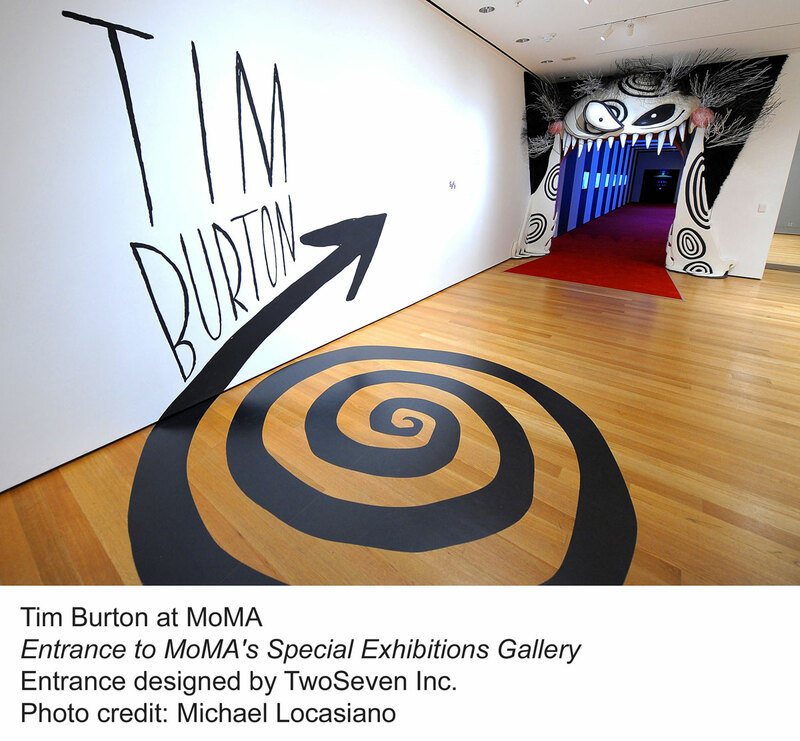 3 years later, "Beetlejuice" was released and I began to "get" Tim Burton and his wacked out world. 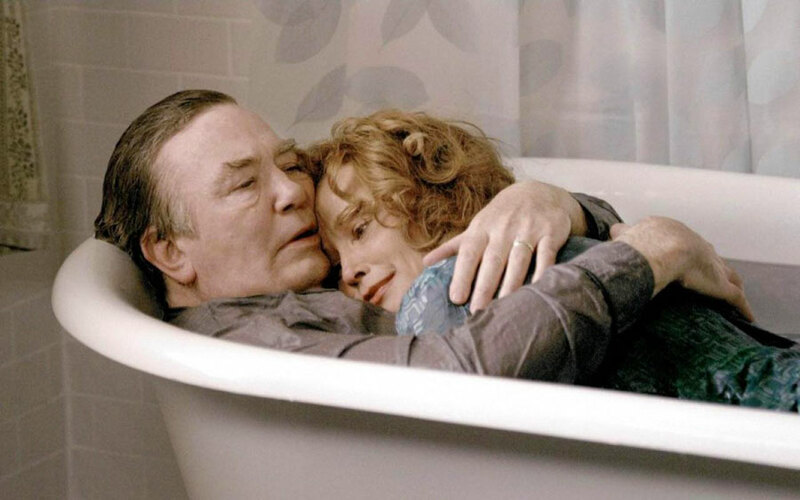 Ever since then, I have followed his work much closer and enjoyed the majority of it; especially my very fave Burton work, "Big Fish." 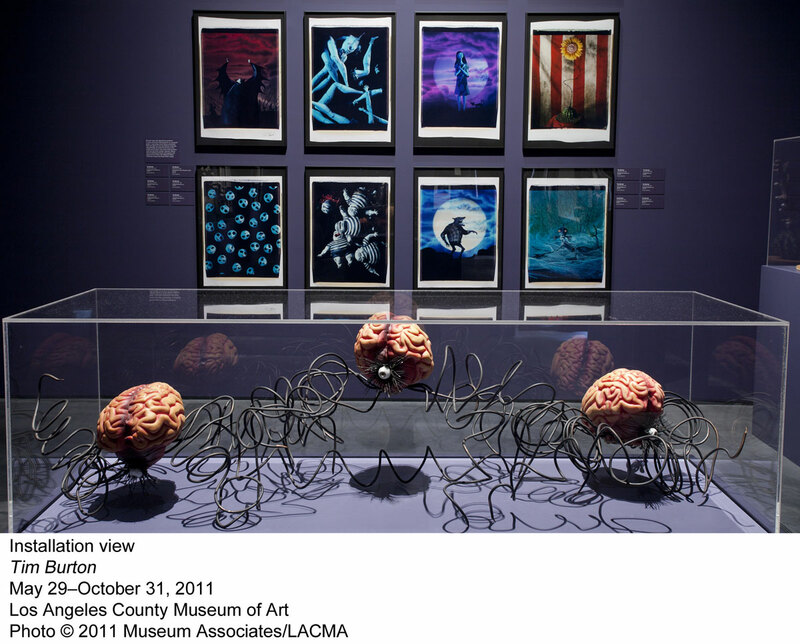 This is why I am so stoked to see this exhibit on an upcoming trip to LA (to be documented in the very near future!). 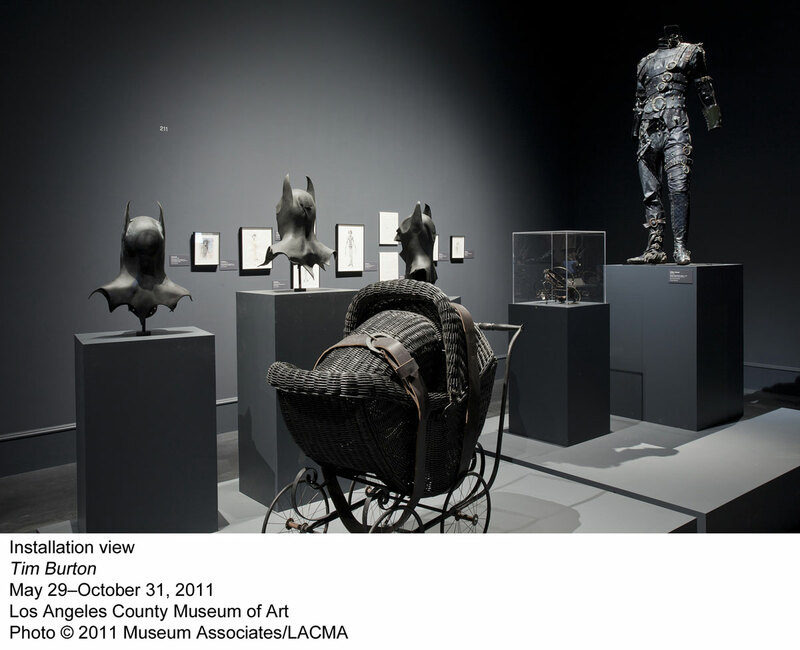 Here is a selection of photos that LACMA was kind enough to share with me. 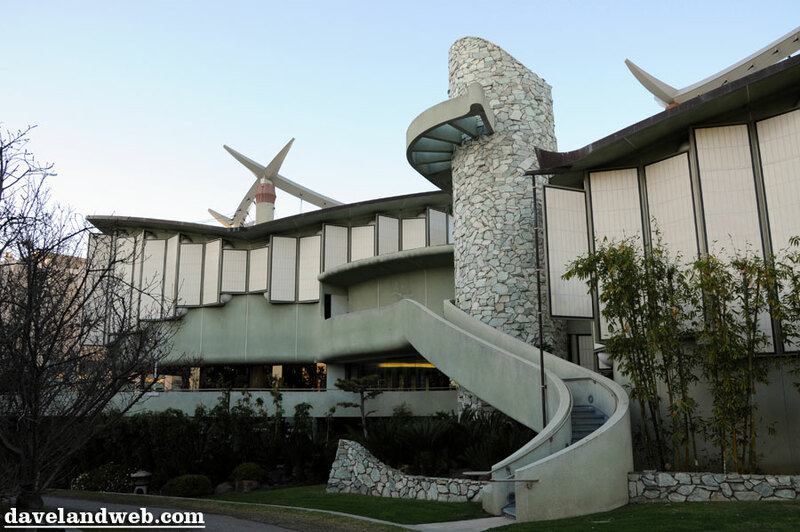 Tim Burton was born in Burbank in 1958. 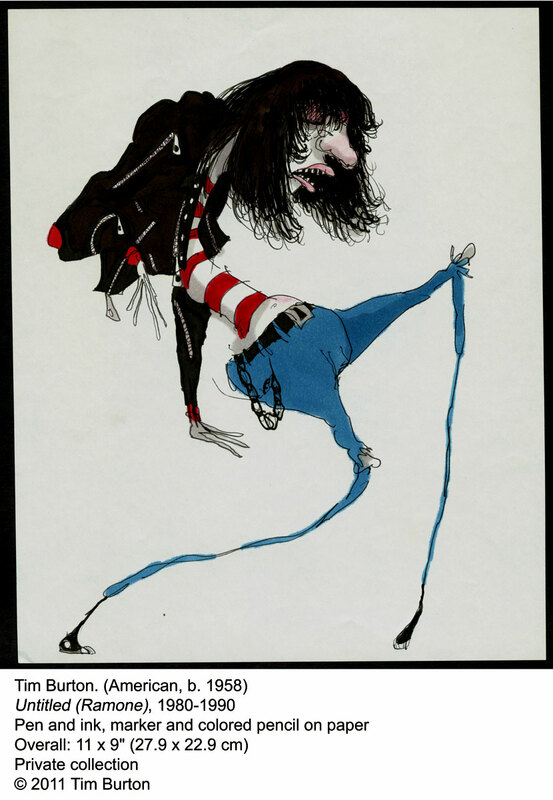 After studying at the California Institute of the Arts (CalArts), he worked as an animator at the Walt Disney Studios before breaking out on his own. 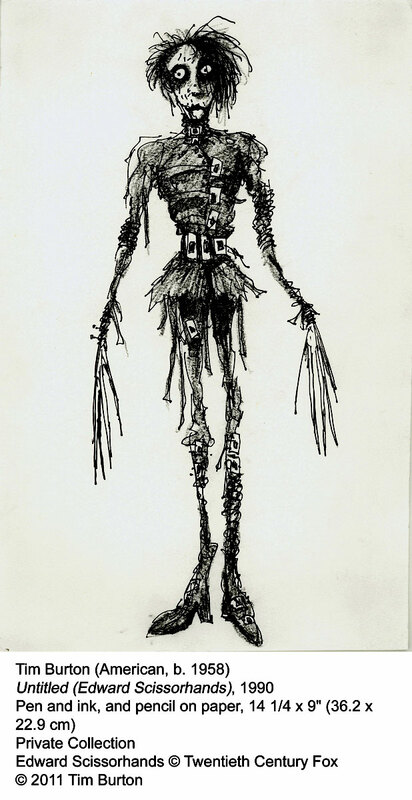 Taking inspiration from popular culture, fairy tales and traditions of the gothic, Burton has reinvented Hollywood genre filmmaking as an expression of a personal vision. 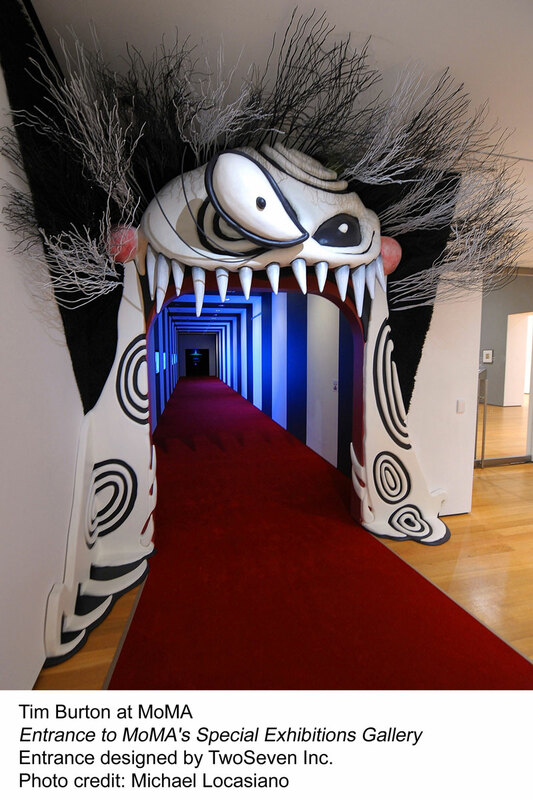 The exhibit runs (appropriately enough) until Halloween, October 31. This definitely looks like one that is not to be missed. 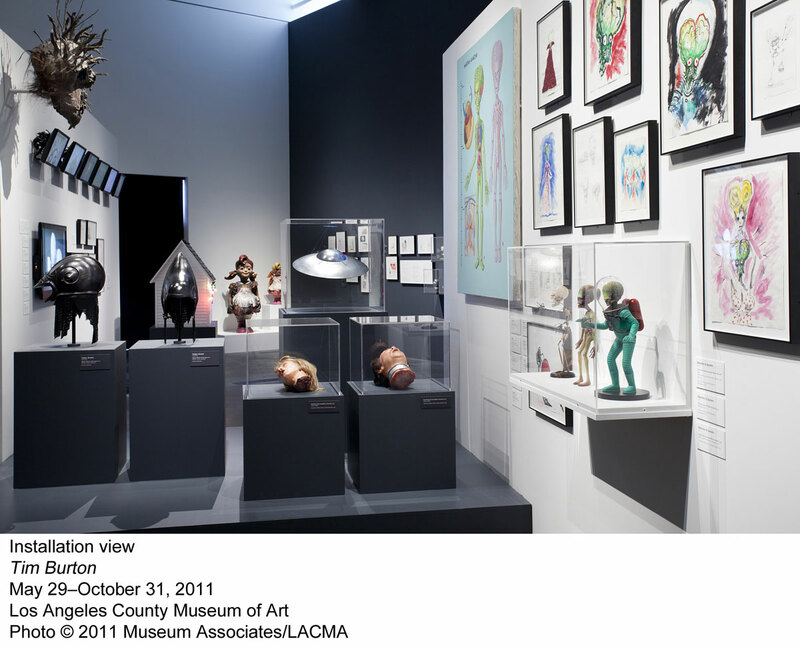 For more information, visit the LACMA website. 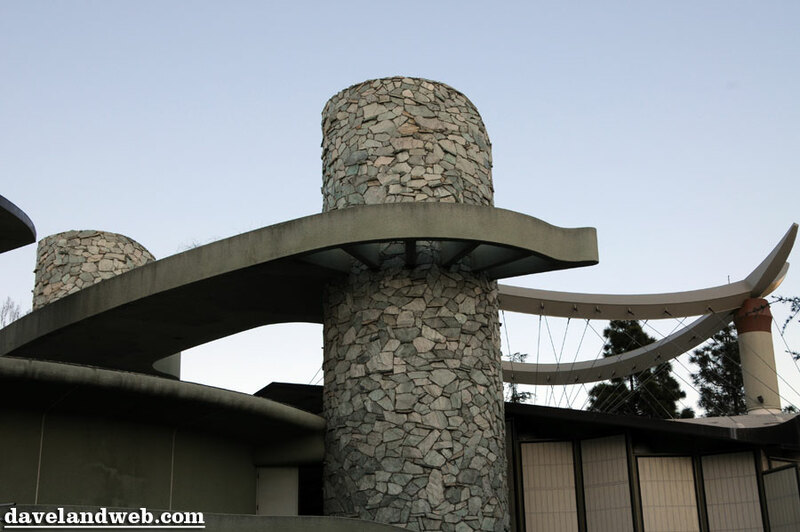 See more Los Angeles photos at my regular website.